My life's work as an evangelist has taken me around the world to minister to individuals from all walks of life. I once found myself in Lovelock, Nevada speaking to prisoners, who were facing long, if not life, sentences. In speaking with a Mexican mafia member, he told me everyone wants to be an outlaw, but the difference between a wannabe and a true outlaw is the level of commitment. One of the most powerful lessons many overlook each Easter is the account of a notorious outlaw, Barabbas. His story occupies 38 versus of the Bible and is included in all four Gospels, yet in reality, we know very little about this criminal. We don't know if he was married or single, what age he was, if he had children, his occupation or any personal details of his life. What we do know is that Matthew 27:16 refers to him as a notorious prisoner. In Mark 15:7, we learn he was bound in prison with chains to others who had taken part in his crimes. Luke 23:19 reveals he was guilty of murder and insurrection. And John 19:40 adds a charge of robbery to his rap sheet. Barabbas had clearly made a name for himself. He was recognized for evil and the rejection of good. He could easily be added to a long list of modern-day infamous people including Osama Bin Laden, Hitler and Charles Manson. He was rebellious, revolting against authority. Yet his crimes did not go unpunished. As with all criminals, Barabbas at one point stood before a judge, gave his witness and testimony, and was fairly condemned to death. His fate seemed as sealed as the coffin that awaited him. He was chained without hope, a future or destiny. Imagine the scene. Pontius Pilate stands before an enormous crowd and announces he will let one prisoner go. The crowd has the power to choose...robber or redeemer. Could the obvious choice be any clearer? Barabbas, the notorious outlaw, or Jesus, the innocent Lamb of God. I'm sure Barabbas was sitting cuffed in his cell, facing death and tormented by his thoughts. Perhaps from his cell he could see the three crosses. But then he hears his name being shouted by the crowd followed by the footsteps of the Roman soldiers coming his way. By now, his heart is likely pounding out of his chest, his palms sweating. He sowed death, and now its time to reap it. He may have resisted the guards as they worked to bring him outside. And then the bomb is dropped – he's free. As they remove the cuffs from his hands, hands that have unleashed so much pain, they tell him, "The Nazarene, Jesus, took your place." Barabbas knew nothing of mercy and grace. He likely had never given it or observed it. While he did not deserve it, he freely took it. Jesus died in Barabbas' place. He hung on the cross intended for the criminal. For Barabbas, he was the first person to literally say Jesus died for my sins. Because of Jesus, Barabbas was declared innocent, free without consequence, given a clean slate and an opportunity for a new life. While Barabbas stood for revolt, Jesus stood for repentance. Whereas Barabbas stood for overthrowing the government, Jesus stood for overthrowing self. Where Barabbas stood for death, Jesus stood for life. Barabbas also stands for you and me and every person ever born. I am Barabbas just as you are — a murderer, thief, criminal, lawbreaker and rioter who could fairly be condemned. Yet, because of Jesus — like Barabbas — you are set free. Barabbas, the least likely to be saved, proves that through Christ there is hope for everyone. Even the worst of us. 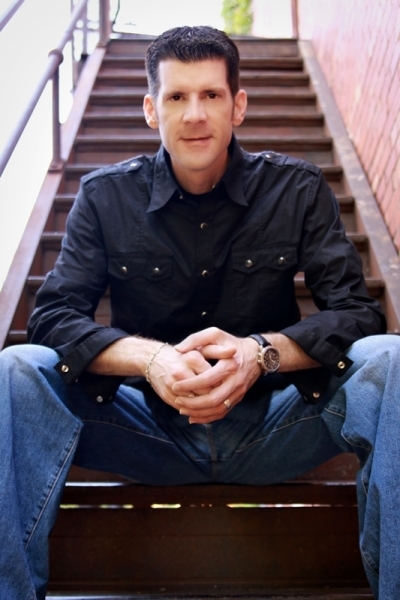 Jay Lowder is founder of Jay Lowder Harvest Ministries and author of Midnight in Aisle 7. Find out more at jaylowder.com or by following him on Twitter @jaylowder.